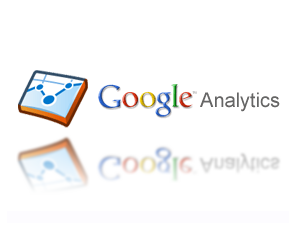 Google Analytics is an extremely powerful and free tool that is a part of the Google suite of products. If you aren’t familiar with what I am talking about, Google Analytics is a service that you sign up for using a verified Google account, that allows you to track your website activity and other important data. In simple terms…it allows you to see every single solitary thing happening with your website, and in looking at the data that it collects, allows you to make smart decisions moving forward so that you can get better results in your business. As an online website owner and entrepreneur, it is always important that you stay on top of your website metrics no matter what business you are in! In this post I am going to share the key metrics I pay attention to, and hopefully give you some advice as to how you can take what I do and implement it into your business to get results. 1) Total Traffic – I am always paying attention to the total traffic into my website, and mentally taking note of the specific things I did on certain days, to generate the results that occurred. 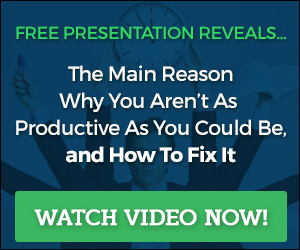 If you are taking massive action expecting to drive lots of traffic, but you login and see no change go back to the drawing board and see where you are going wrong. 2) Traffic Sources – The next thing I pay attention to is the specific traffic sources that are driving traffic into my website. There may be times where I write an article that gets linked on a high traffic website. My google analytics will show this, and it will then allow me to go to the person who linked my article to send them a personal thank you e-mail for doing so. (Saying thank you goes a long way online, because so few people do it). 3) Entrance Keywords – The entrance keywords in your google analytics show you what specific key phrases are driving traffic into your site via the search engines. This is important to pay attention to because if your website visitors are finding your site with keywords that don’t match your intended target you are going to have an issue converting that traffic into leads and customers. As you pay attention to the words, don’t forget to analyze what words are generating the best response. 4) Time on Page – The Time on Page is the other key metric that I pay attention to because it is showing me how “sticky” my content is. Obviously the higher the time on page, the better the content I am creating, and my market is resonating with. If your time on specific pages is really low, make sure that you amp up the type of content you are writing, and make it more effective. 5) Bounce Rate – One of the last key metrics I pay attention to is the bounce rate. The bounce rate is the number of people who come to a page of your site, and then leave without clicking anything else. So for example if I had a bounce rate of 20%, that means that 2 out of every 10 visitors exit my website without clicking deeper into the site. If you have really high bounce rates, again increase the value of your content so create an environment that gets people to want to stay longer. There are obviously many more metrics, and things to measure using Google Analytics, but these are the core ones I am always paying attention to, and I feel would be important for you to pay attention to. One thing I would also recommend is that you spend at least 30 minutes – 1 hour every Saturday analyzing at your google analytics, and see what you can learn from what is happening on your site. This information is truly priceless, and drives a lot of my decisions that I make in my marketing. This is very helpful, Scott, as well as validating. These are actually, the very things I was checking on Analytics myself. I was finding that LinkedIn and my email list bring me the most traffic and anything that is Linked from Bea’s site. I wanted to get in touch with you about doing a guest post for my site. It doesn’t even have to be a new one. In fact, I would like to even use this one, either with me linking to it or just posting it with your byline. What do you say? I recently added google analytics to my agent website and found that one page/blog post specifically was getting a significant amount of traffic. I didn’t have a lead capture form on that page or a free giveaway. I did the first part right which was to write something of value, followed by near perfect on page SEO, but I failed to optimized my blog entry for lead capture. I wouldn’t have known it without google analytics. I digged your post. I might refer to it in another blog post. Thanks for the info. This list is a good starting point and both time on site and bounce rate have taken on a new importance since the Google Panda update seemingly uses these as a measure of website relevance and user satisfaction. What Yvonne suggests above is just the sort of thing Panda will punish – duplicated content, sorry to say Yvonne. Ecommerce websites should also set up funnels and goals within analytics – whether the goal is a newsletter signup or a sale so they can understand where their customers come from, if their marketing is working and what their conversion rates are. Previous post: What is An Autoresponder and Why Do I Need One?